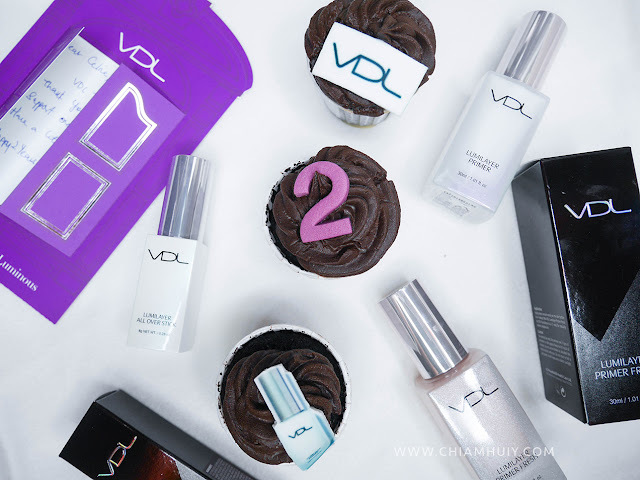 VDL is nothing new in Korea and even Singapore because they have just turned 2 this August!! 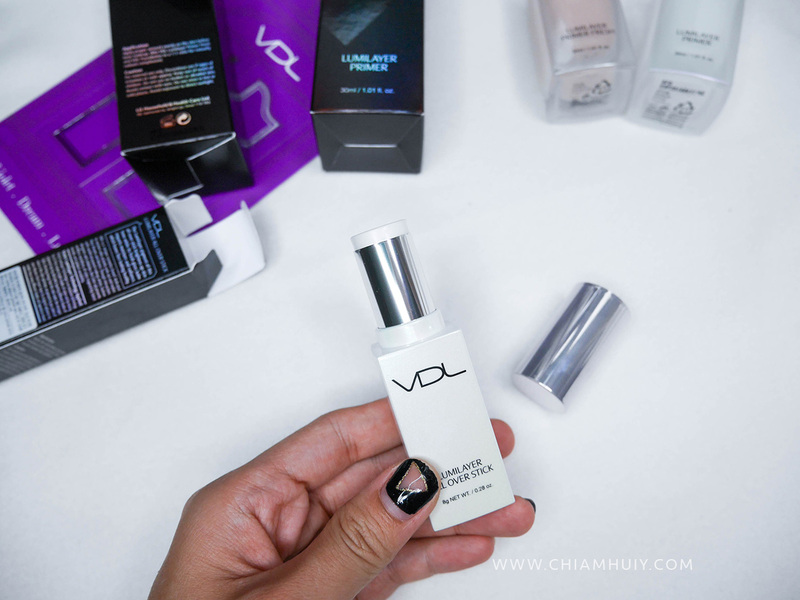 :) Just few months ago, VDL also proudly announced a successful launch of Lumilayer Primer, with 2.2million bottles sold world-wide. Very impressive indeed! 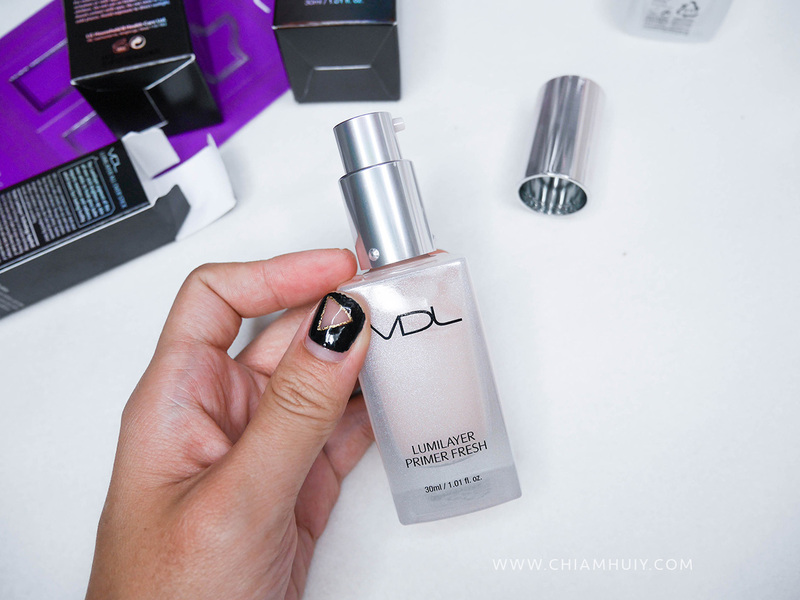 I've used VDL Lumilayer Primer ($36.00, 30ml) and I love the shimmery effect it gives. 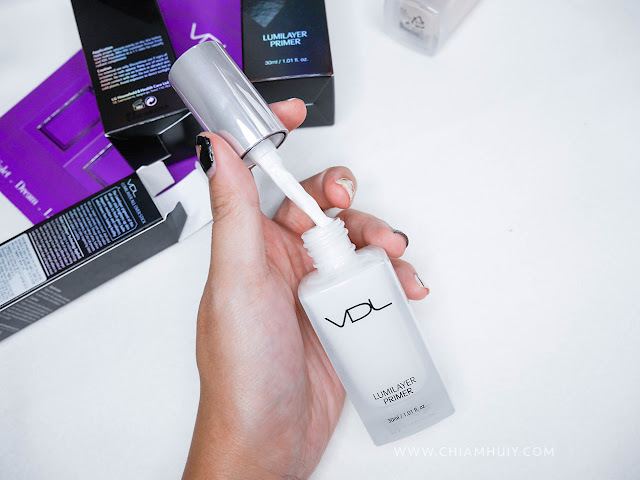 As mentioned in my previous review of the VDL Lumilayer Primer, this Violet pigmented primer combines red andblue color to create 3-dimensional clear, radiant and bright skin. 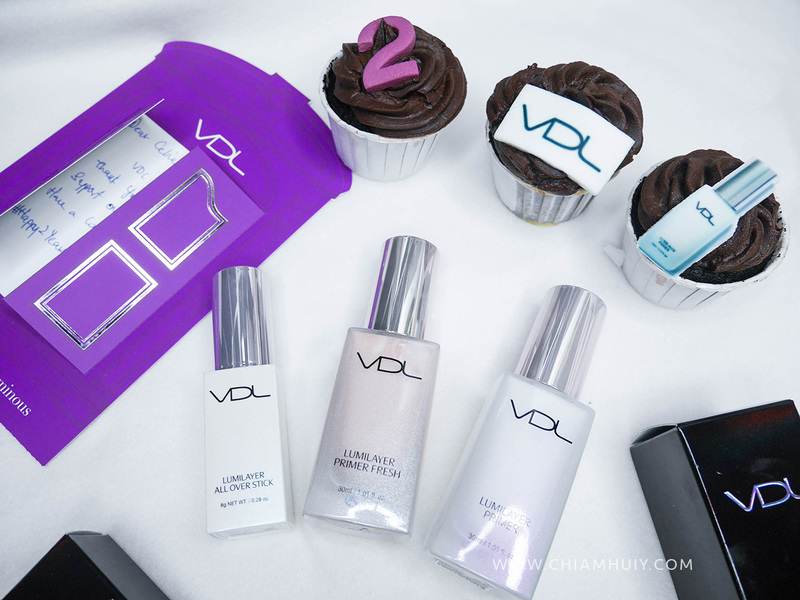 Following this successful primer launch, VDL also recently launched two new primer products under the same technology. Lumilayer Primer Fresh ($36.00, 30ml), a rendition of the curreny Lumilayer primer, is especially more light-weight with more than 70% of moisturizing essence encapsulated with a lightweight oil bubble. That means, this primer is more moisturising and has brightening effect too. Another unique product released is a primer in a stick form. The Lumilayer Primer All Over Stick ($36, 30ml) is just another extension from the original Lumilayer Primer but in a stick form. Lumilayer primers contains 3 types of pigment particles. 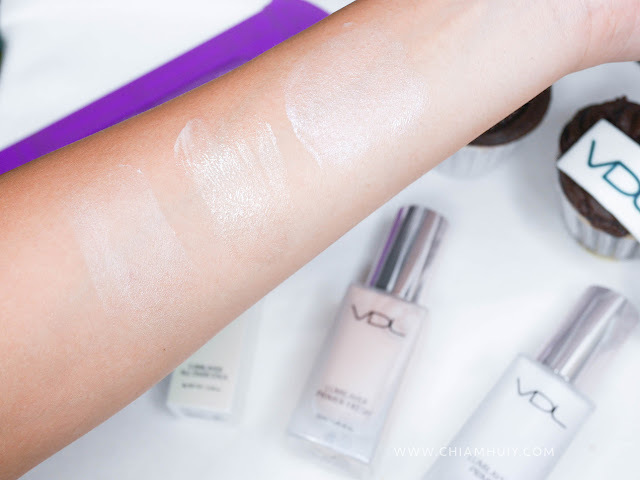 Violet LightflectsTM pigment evens out the skin tone while creating a clear, radiant and healthy skin for the next step of makeup. The White particle helps to reflect light and brightening up the face instantly. Those Gold Sparkling Pigment creates an overall elegant shine by providing subtle warm glow. proceeding to start foundation/base makeup. This stick form primer is definitely more convenient because you just have to apply using this stick directly onto the skin, without having to use an additional blending brush.